What kind of device should I go for? Now you’re clued up on what refurbished means and you’ve seen the value of it – it’s time to buy a refurbished phone for yourself! There are plenty of options out there so we understand if it can be a little overwhelming. Here are some things to consider when you buy a refurbished device so you can buy the right phone for you. This will always depend on the person, but there are a few things to consider when buying a phone. How much memory do I need? Do you find that your storage is always full? If you’re always downloading apps or taking snaps, you might want to move up to the next level of storage. Some iPhones have storage of up to 256GB, whereas the likes of Samsung will have space for an additional memory card. You should consider how the memory will affect the price, too. The more memory the device has, the more expensive it will be. Locked or unlocked? An unlocked phone is great because you can change phone providers as and when you feel like it. If you decide to sell your phone at a later date, an unlocked phone will be worth more too. If you are happy with your phone provider, and don’t plan to move any time soon, buy a phone locked to their network. It’s an easy way to save a little bit more money! How durable is the phone? With newer models… not very. Glass backed phones are easily broken and screen glass isn’t exactly the strongest. Older generation phones will be a bit sturdier so they will allow for a bit more wear and tear. Something like an iPhone 5s or SE should be able to withstand a bit more than the newer models but as always, invest in a cover to be safe! It’s also something to consider when you’re buying a phone for a child. Kids can be rough with tech items, so it makes much more sense to get them a refurbished phone that’s a little bit older, costs a lot less and that you can stick a cover onto. Which generation? This really comes down to personal preference above all else. Have you set out to have the latest tech or do you just want a working phone? If a working phone is all you need, do look into phones that are a few years older, but that still use up-to-date processors. The amount you could save is incredible! For Apple users, the latest version of iOS (iOS 12) will be available on devices as far back as the iPhone 5s. You can buy an iPhone 5s for less than £70 will musicMagpie whereas the latest iPhone, the iPhone X is nearly £1,000 direct from Apple! How much will I spend? What you spend on a phone will come down to what you need and what your budget is. If you aren’t in a position to spend a lot of money, don’t worry because you don’t have to. You have plenty of options for phones that are under £100 but if you have a bit more money to play with, you can get your hands on a newer model for a fraction of the price. No matter what your budget is, you’ll be able to get a great phone that works as well as a brand new one does. What will the phone be used for? Seems obvious but remember that not everyone uses a phone for their sole purpose – making phone calls. If this is your reason for buying a phone, just to make those calls to check in with loved ones, there’s no real need to invest in a phone that’s full to the brim with features you won’t touch. Think about how often you use your phone, what you think its purpose is and make your decision based on that rather than getting tied into a phone that might be too complicated to use. Now you’re ready to buy a refurbished phone! Not sure where you can buy one from? Look no further than musicMagpie for a great quality phone and 12 month warranty! 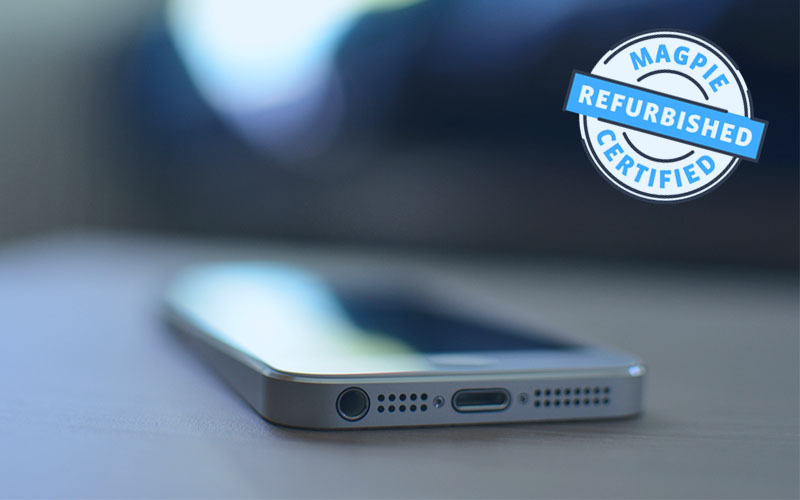 ← Why should I buy a refurbished phone?